Your credit score has an impact on almost everything you do and everything you will want to do in life. If you want to get a home, you will need a good credit score and history. If you want to get the best rate on a car loan or the lowest premium on your any type of insurance that you may need, you will need a good credit score in history. Depending on what field you work in, getting a job may depend on how well you pay your bills. With that in mind, how do you build credit and establish a credit history? Does a Payment Get Reported to Creditors? Whether you not a certain account hurts or harms your credit depends mostly on whether or not the creditor reports your account to credit agencies. In general, your mortgage payment, car payment and student loan payments are reported to creditors. However, whether or not a debt is shown on your credit report is up to your creditor. This is why forgetting to pay a fine for not returning a video on time could harm your credit score while not paying your cable bill will result in nothing other than losing service until it gets paid. Your credit report lists all financial activity reported to credit agencies within the last seven years. The only exception to the rule is if you have filed for Chapter 7 bankruptcy as that shows up on your credit report for a decade. A credit report will list the type of loans that you have, the balances on those loans and whether or not they are current. It will also indicate whether there are currently or have been in the past any payments made 30, 60 or 90 days late. If a creditor secures a judgment against you, that will be listed on your report for seven years. 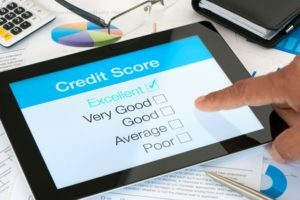 While information on your credit report stays there for several years, lenders are most interested in the last 12 months as it most accurately reflects your current ability to manage money. 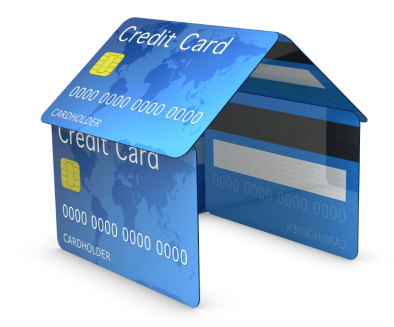 The first step in building your credit history is to have a credit account or some other type of loan in your name. This could be a credit card with a low balance or a car loan on the vehicle that you plan to drive to school and back. To increase the odds of getting approved for your first loan and to get the best rates, you may want to ask your parents or grandparents to cosign on the application with you. While the payments made will be reported to credit agencies in your name, the lender gets the added assurance that someone with a more established history is also there to make a payment if you cannot. In some cases, you may get rates and other loan terms as if this person was applying instead of you. How Long Does it Take to Get a Good Credit Score? If you have never opened a credit account or have any type of credit history, it will probably take 12 to 18 months to prove yourself to future creditors. However, it could take up to five years to get the maximum benefit from paying your bills on time and keeping your credit usage to a minimum. You should keep in mind that you never want to cancel your first credit card if at all possible. This is because your credit age is determined by averaging your newest account with your oldest one. For instance, if you had a credit card for five years and then got a new one less than a month ago, you would be assumed to have a credit age of 30 months. You get this number by dividing the 60 months you have had your credit cards by two, which is the number of credit cards that you have. If you ever decide that you do need to cancel a credit card, cancel your newest one if at all possible. The best case scenario is that you keep all accounts open after you pay them off or no longer decide to use them. It is rare that a credit card company will cancel your account for lack of use, so you shouldn’t worry about losing it without a good reason or without notification. Ideally, you will want your credit score to be somewhere between 650-700. The Fair Isaac (FICO) scoring model deems anyone with a score of less than 640 to be an above average credit risk while anyone with a score of over 740 to be an above average borrower. If you are planning on getting a mortgage, you will need a credit score of at least 600, but a score of 700 or higher is ideal to get the best rates. As you can see, it is important to make sure that you pay your bills on time and that you keep your balances as low as possible. Generally, you don’t want to spend more than 30 percent of any specific balance nor do you want to go over 30 percent of your total available balance. Your credit mix refers to the types of credit that you have, and it is preferable to have a mix of secured loans such as auto loans and unsecured loans such as credit cards. You may have heard the horror stories from those who racked up thousands of dollars in credit card debt without having any way to pay for it. However, credit cards can be a useful tool in helping you to establish your credit score and history. They can also come with a lot of perks such as cash back or discounts to grocery stores and other retailers that can help you save money on a variety of purchases that you may make anyway. Changes in credit card laws also make it harder for those under the age of 21 to get large balances unless they can prove an ability to repay them. Cards are also available for teens and college students with low balances and 0 percent interest for up to 18 months to make it easier to build your credit without going broke. Therefore, when used properly, they may make it easier to keep you liquid if you are in school or otherwise away from home for the first time. When you finance a purchase, the amount of interest that you pay can alter not only your monthly payment but the amount that you pay overall. For instance, if you borrowed $20,000 to buy a car with a five year term and 3 percent interest, you would pay $359 a month and $21,562 for that vehicle. However, if your interest rate increased to 10 percent, you would pay $425 a month and $25,496 for the same vehicle. If you have no credit, you can expect to pay closer to 10 percent while those with good credit or at least some positive credit history would pay closer to 3 percent. Therefore, just by opening a few token accounts and paying them off each month, you could save almost $75 a month that could be used to start a savings account or to pay down other debt. You could also decide to put that extra money toward your loan’s principle balance and pay that off sooner. When applying for a credit card, your loan balance will be decided by the amount of debt that you currently carry and your credit score at the time of your application. By keeping your utilization rate to under 30 percent and keeping your score at 700 or higher, you could be entitled to a credit card balance of $5,000 or more. Once you get your credit card, it may be possible to have your credit balance increased if you use it responsibly. If you have never been approved for a credit card or other loan in the past, you may only be approved for $1,000 or less. Society tends to see you as a more responsible person when you are able to pay your bills in a timely manner. Lenders will also see you in the same light if you show that you can manage your debts and pay your bills as you say that you will. Insurance companies will give you lower rates because those who are good with money tend to be careful when driving or operating their businesses. Typically, those who are between the ages of 25-65 get the best rates as they are the most reliable and dependable from a statistical standpoint. Therefore, it is in your best interest to make sure that you start building your credit as soon as possible to get the benefit of low insurance rates as soon as possible. Over time, you will gain access to discounts that may enable you to lower your deductible and increase your coverage rates without raising your premium. Another benefit of being seen as a responsible adult is that you have better odds of getting or keeping your job. If you have low credit or no credit, you may be perceived as a risk to steal money or materials that could be sold for quick cash. This can be particularly problematic if you handle large quantities of money or are entrusted with valuable materials on a regular basis. 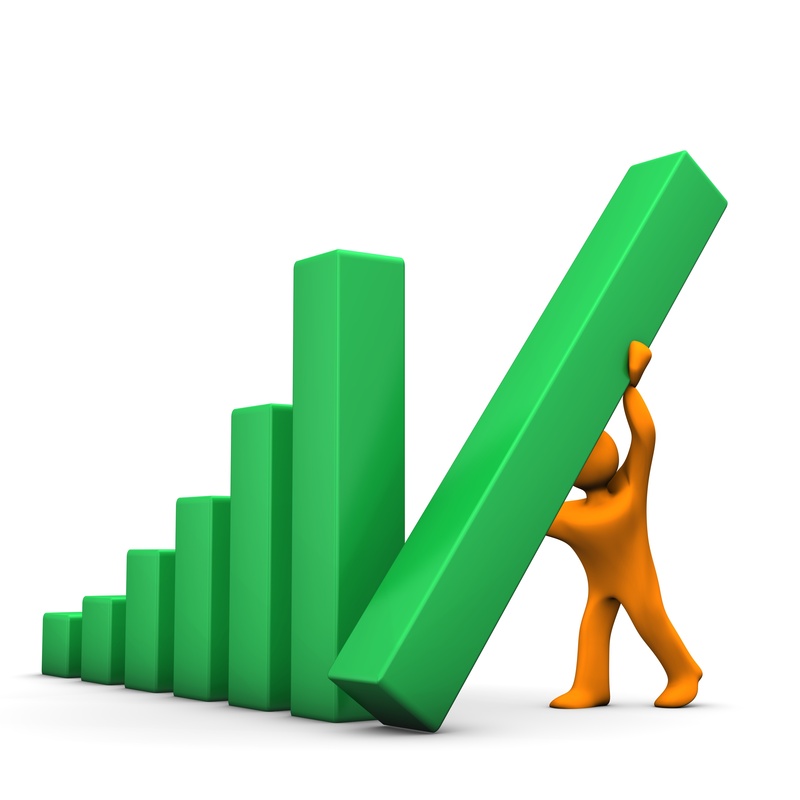 When you have good credit, you have ability to get out of financial crises without paying too much to do so. For instance, those who have bad credit may not have any other choice except to apply for a payday loan. While a payday loan could help if you need money today and couldn’t pass a credit check, conventional loans offer much lower interest rates and better repayment terms. If you own a home and have good credit, you can use the equity in your house to get a loan or a revolving line of credit at an interest rate similar to that of your mortgage. Depending on the terms of your loan, you may not need to make any principle payments for up to a decade, which gives you time to get back on your feet before repaying the loan. If you are experiencing a large amount of credit card debt, you could transfer some or all of that debt to a 0 percent interest card, which could save hundreds or thousands of dollars per month. Additionally, you would only have one payment to make each month, which could make it harder to forget about or plan to make a payment. Some credit card companies also allow you to transfer auto loan, student loan or other balances to a credit card. While personal loans are considered to be for those who have poor credit, that isn’t necessarily the case anymore. If you have good credit, you can get personal loans at rates at or just above the rates for a car or mortgage loan. You may also have the option to secure the loan to further lower your rate or get better terms. When you apply for an apartment, there will be a credit check as part of your tenant screen. If you have poor credit or no credit, you could be asked to pay a higher security deposit or be asked to pay your rent on a biweekly basis or on a weekly basis. In the event that you aren’t able to pay your rent, you will be asked to leave your apartment immediately, and the sheriff of that particular jurisdiction will be there to compel you to leave. When you go to fill out a future application, you will be asked if you have ever been evicted in the past, and you will have to say yes. That combined with a lack of a credit history could make it harder to get an apartment and a place for yourself and your family to stay on a permanent basis. Good credit can also come in handy if you own your own home and need or want to upgrade it. Let’s say that you need to repair your roof or put new siding on your home. When you have good credit, it is easy to finance that new roof or the new siding without impacting your budget. You may even find that your loan terms are so reasonable that you splurge for better materials that could help to lower your energy costs or otherwise make the property more comfortable. If you are thinking about remodeling your kitchen, finishing the basement or putting in a new HVAC system, you have access to funds to do that work on your schedule. This is beneficial because you don’t want to let a minor issue become a major one as it can require a great time and financial commitment the longer it lingers. When you have bad or no credit, lenders can’t be assured that they will see their money back. If you want to get a cell phone on an installment plan, the cell phone provider doesn’t know that you are going to make payments unless you have proved in the past that you have the ability to make payments on a regular basis. Remember, when dealing with an unsecured loan, the lender or retailer has only your word as a guarantee that you will live up to your obligations. This means that you may need to put $1,000 down to buy a car when someone with good credit may be able to get away with putting nothing down. If you want to get a cell phone, you may need to put $500 down while others may be able to get the phone without paying anything. While you may not think that $500 or $1,000 is a lot of money, that could be a month’s rent or a month’s worth of food that you would have to pay another way. In some cases, it could mean that you either pay the down payment with a payday or title loan or pay for that month’s food and shelter with a bad or no credit loan. Either way, that increases the amount of debt that you have to pay back with interest and may further complicate your efforts to build or improve your credit profile. When you have good credit, you don’t have to live with the possibility that one missed payment could result in losing your home, losing your car or being forced to file for bankruptcy. With affordable and predictable monthly loan and service payments, you know how much you need to make to pay your bills on a monthly basis. Anything else can go toward an emergency fund or toward paying down your credit card or other debt. If you don’t establish your good credit or don’t have good credit, you could be forced to take out variable rate loans or loans that have balloon payments. Therefore, instead of knowing ahead of time what your monthly payment is, you may not know until you get your statement or just a few days before you get your statement. The stress that you feel could lead to weight gain, teeth grinding and other health issues that lead to new medical bills that exacerbate your current debt load. When you take the time to build your credit, you give yourself some breathing room and options to pay down your debts in a responsible manner without suffering a variety of serious consequences. Just because you could pay cash for something today doesn’t necessarily mean that you want to. However, when you have good credit, you can afford to splurge a little bit today and make payments over time without sacrificing liquidity, which could make it harder to invest or otherwise pay certain bills. There are also times when paying a little more for something now can save money in the future or even net you a profit when you sell it. For instance, spending an extra $500 for a real leather couch as opposed to a faux leather or microfiber can provide you with a couple of benefits. First, it enables you to buy something that you really want and will look nice in your home or home office. Second, it will last for a longer period of time compared to your other options. When it comes time to replace that cheaper couch, your higher quality furniture will still have some useful life to it. When it comes time to sell your house, having nice furniture may help with staging purposes. That could make it easier to sell the home or even sell it for a higher amount because the buyer may perceive it to be a higher value property. Therefore, being able to spend a little more upfront saves money while buying an inferior product could save money upfront but cost more over the long run. As your credit report is just a snapshot of the last seven years of credit activity, there is a chance that your credit score or history could change at any time. For instance, when a bankruptcy comes off of your credit report, that is a good thing that could lead to an increase in your score. However, if you paid off your car loan and don’t have any recent evidence of credit use, it could actually work against you. While you should never borrow money just because, it is never a bad thing to open an account and pay it off as soon as possible just to show that you are still a good loan risk. While you may not think that you need your credit now or in the near future, the truth is that you don’t know when you may need it. It could be that you rack up a large medical bill that your savings alone cannot cover, and you need to borrow money to pay the difference. You could suffer a job loss tomorrow and lose most or all of your income for a long period of time. Instead of having to liquidate your stock portfolio and losing out on potential growth, you can simply borrow money and pay it back over time. Instead of draining your 401k, losing future compounding ability and paying income taxes on the withdrawal, you can take out a short-term loan until you get back on your feet. The best part about building your credit is that you can do it at any time. Whether you are an 18-year-old kid straight out of high school or a 48-year-old who has never had debt of any kind, you are never too late or too early to think about your credit. The good news is that there are a variety of easy ways to start building your credit and showing that you are good with money and managing your debt. In some cases, you may be able to ask your creditor to report your payments to a credit agency to make sure that you are getting credit for your positive behavior. For example, you may ask your landlord to report all of your payments or ask your utility company to report all of your payments. While your landlord probably will report you to a credit agency if the landlord is a large property management company, that may not be the case if you rent from a friend or another private citizen just renting the property to make some extra cash. If you shop at a particular retailer or go to a gas station regularly, apply for credit, charge your purchases and pay them off at the end of the month to build your credit history. Your credit report is merely a reflection of what your creditors have reported. Therefore, just because something is listed on your report doesn’t mean that it is true. For instance, a creditor may report a payment is late when it really isn’t or that an account is in collection when it isn’t. In the event that a bankruptcy or other adverse event does not automatically come off your credit profile, make sure to contact all the credit agencies to correct the mistake. Errors and omissions could cost you dozens or hundreds of points that could be keeping from getting the loans or other credit that you deserve based on your positive behavior. You are entitled to one free copy of your credit report each year to check for errors and other issues that you want to resolve. It is important to note that it will not contain your credit score, but that can be obtained by contacting Fair Isaac. It is also possible that your credit card company will give you access to your score for free on a monthly basis just because you are a customer. Building and maintaining good credit is one of the most important things that you can do for yourself. With good credit, you can get great rates and make sure that you have the financial flexibility to do the things you want or get the things that you need. Therefore, you should do whatever it takes to get approved for that first loan as it will allow you to build trust with lenders and develop relationships that will help you now and in the future.